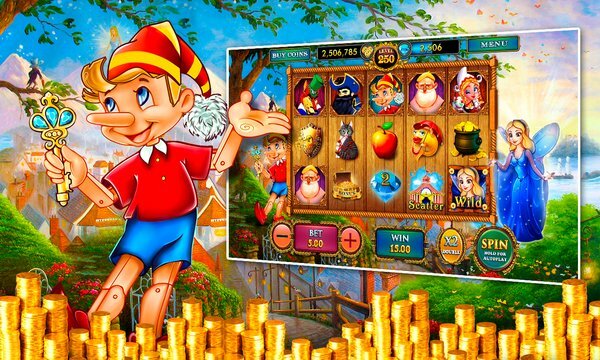 Pinocchio Slots is a brand new FREE pokies game, developed in the spirit of Carlo Collodi’s most famous work. It is a throwback from 19th century Italy, where Collodi’s marionette has just come to life. 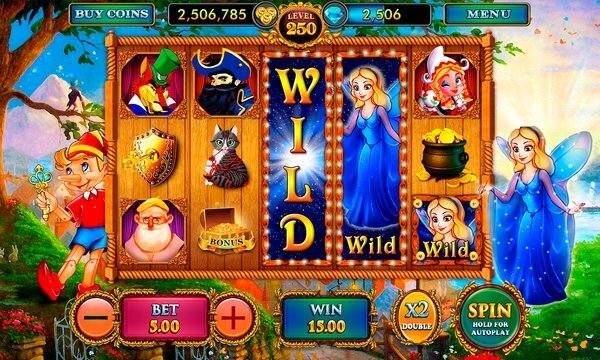 It invites players to join Pinocchio in his slots adventures right on your tablet or smartphone. Pinocchio Slots is an HD, 5x3 pokies machine where you can make a fortune with virtual money. Claim big bonuses and huge jackpots while roaming around the streets of Italy. Enjoy top-tier graphics and high-quality sound effects in Pinocchio’s company. He guarantees you a premium slot experience. And to make the entire thing even more adventurous , you can do it all for FREE. Download the game now if you love a good story and Italy, and are not scared of the thought of joining naughty Pinocchio on his adventures. Pinocchio Slots makes your deepest childhood desires come true. You can enjoy the company of the woodworker of your childhood fantasies as he creates your fellow pokies player Pinocchio out of dead trees. It is time to download the game and SCORE IT BIG. •	Pinocchio! I did not know he could join me for a game for fortune. •	Dolce vita! For an Italy-phile, this is the best to have happened since the Italian team’s world cup win. •	Beautiful! Never seen such cute pokies. •	Amazing colors. I have bought the Adventures of Pinocchio again. Pinocchio Slots is a free pokies simulation for Windows. You can download it and play it for as long as you want. And if you need more coins, you can always win them or purchase them through our online store. The coins are available for as less as $1.99.